I've been checking out the entries for our Playdate No. 4 on the blog, and there are some fabulous creations. There are only a few entries at this time, but that won't make it any easier for Shay and I to pick a winner. There is still a little time left to participate in our Playdate No. 4 (You have until November 28, 2014 at 11:55 p.m.). And, if you are new to our Playdate, you are playing for a chance to be one of our guests during our next release. To read more about the details, check out our Playdate No. 4 post. If you are like me, I've been pretty busy earlier this month, and only just had a chance to get crafty for a little while this weekend. When I reviewed the challenge images and colors, I just couldn't make up my mind, so I made a trio of tags. Each one is inspired by some of the aspects of the challenge. I used one of my favorite sets from our October release - Winter Woodland! Apparently it is also a favorite with many of you since it has been sold out - but never fear! We expect it back in stock VERY SOON! 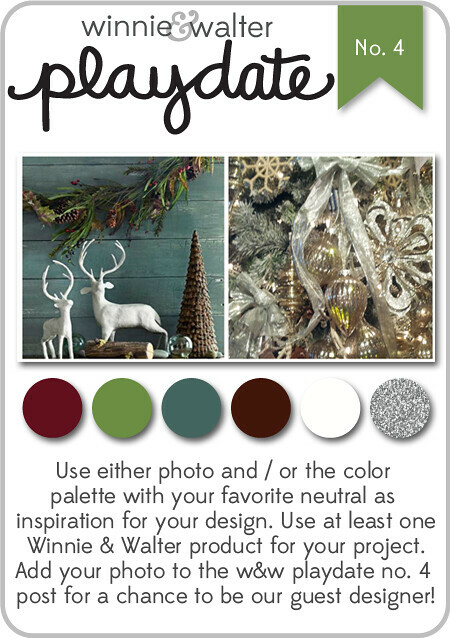 For this first tag, I took my cues from the pine needles and pine cones, as well as the green, brown and silver colors. This tag started with a kraft tag that was still on my craft table that I had swiped through some left over shimmery mists from a previous project. It is subtle, but lovely when the light catches it. 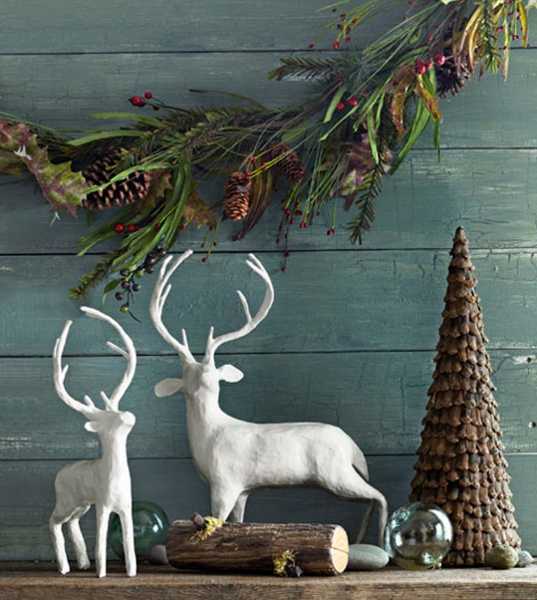 I think it is also a little unexpected on this tag with the contrast of the pine needles and pine cones rustic look. I used my Tim Holtz Distress embossing powders in Vintage Photo and Shabby Shutters. Finally, I stamped the two cardinals and then embossed them with Rockin' Red glitter embossing powder from JudiKins - a staple during Christmas and Valentines! The sentiment is from Happy Christmas, and a perfect small sentiment for a tag. For my next tag, I really wanted to make a design with white embossing because I like how it looks on kraft cardstock. Since white was one of the colors, and kraft counted as my neutral, I brought in the green from the colors, as well as a deer from the scene. 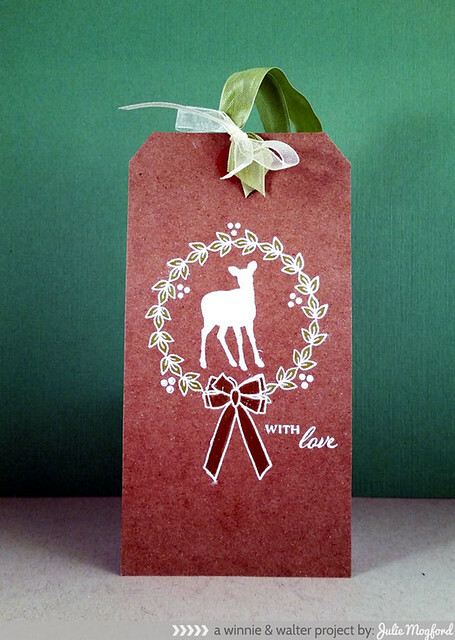 I decided to make this a one layer tag and I stamped the bow first, and then masked it so I could stamp the wreath. I added the sweet little doe and some dots around the wreath, as well as another small sentiment - all from Happy Christmas. I wish you could see the coloring more on this tag though. I did take a light green prisma pencil and colored inside the leaves carefully and a gold prisma pencil for the bow. I think this is simply elegant and could be easy to mass product. I hope I have enticed you to play along for our Playdate No. 4 challenge (you can't win if you don't play! 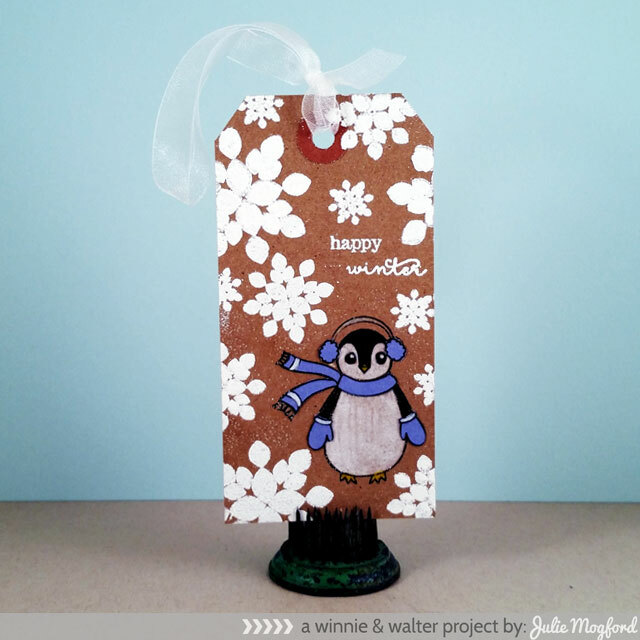 ), and maybe even inspired you to make a few handmade tags for this gift giving season. Shay, Winnie, Walter and I wish you a very Happy Thanksgiving and hope you enjoy your time with your family. We are so grateful to have you all as part of our winnie & walter family! And, if you are so inclined, please join us this coming weekend for our Black Friday / Cyber Monday sale - more details coming very soon! beautiful tags Julie... I'm making a tag for the play date.. will post it once done..
Hey Julie, I love the tags :) They look so pretty , can be gifted as well. My fav is the first one ! Thanks for sharing! 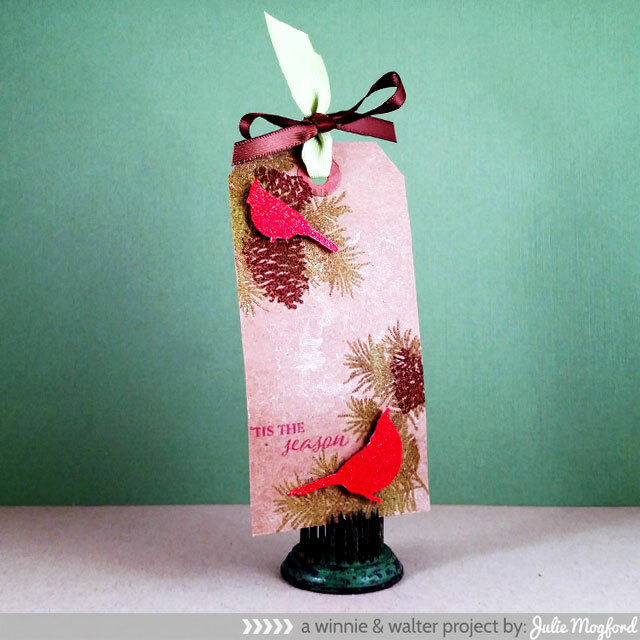 LOVE the your 1st one, the cardinals layered over the pine boughs & cones are DELIGHTFUL!!! great tags, can't wait to link up my cards soon!